Have a special occasion coming up? Visiting Colorado for the holidays? Or just thinking about having a great holiday skiing with friends? Our luxury car service offers 24/7 transportation to DIA airport from Breckenridge ski resort and back. 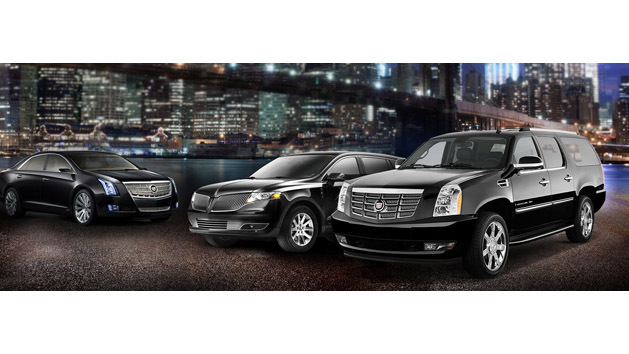 Let us take care of your transportation needs in style at an affordable price. Our experienced and friendly chauffeur becomes the designated driver for everyone, so no one misses out on the fun. Extra charge apply for an extra stop ($10 Minimum). All posted rates include gratuity, airport fees, Toll road (Nontaxable). Twenty minutes of free waiting time given on all Domestic flights from the official posted arrival time. Forty minutes of free waiting time given on all International flights from the official posted arrival time. Additional waiting time will be calculated in increments of 15 minutes at the vehicle's hourly rate, tolls and parking are additional. For all other reservations, 5 minutes of free wait time is given. Any additional wait time will be charged in 15-minute increments based on the hourly rate for that particular vehicle. we do not monitor private flights, therefore, wait time will be charged as incurred for any passenger arriving on a private plane that is delayed by more than 5 minutes. Passenger requested stops on route during a point-to-point reservation will be charged $20.00 per stop for maximum of 5 minutes, and changes will revert to the hourly rate for that particular vehicle after 5 minutes. Passenger requested stops off route for point-to-point reservations, additional charges will revert to the hourly rate for that particular vehicle. Cancellation of sedans and SUVs with TWENTY-FOUR HOURS (24 HRS) NOTICE OR LESS from scheduled pick-up will result in a full charge equal to the base fare price.